From crippling insomnia to losing concentration, crossing time-zones can interrupt sleep patterns. Here's how to return your circadian rhythms to normal as quickly as possible. Are you plagued by flight fatigue? That jet-lagged feeling of ultra-tiredness can be debilitating, especially if you then have to deliver a presentation or hike up a mountain the day after landing. Just as bad is a seemingly endless insomnia once you reach your destination or on your return home. The human body is just not designed to travel quickly between time-zones, and upsetting your circadian rhythms can have dire consequences for sleep, cause headaches, indigestion, and generally make you feel ill. Here's how to fight the disruption of your internal body clock and return to normal sleep patterns. It's a pretty obvious thing to say, but upgrading your trip to business class or even first class is bound to make it easier to sleep on a plane headed in either direction. However, don't make the mistake of paying for business class if you're boarding a day flight; you likely won't sleeps so it's a huge waste of money. Whatever class you travel in, invest in some noise-cancelling headphones if you want to sleep as much as possible on a night-flight. They use a microphone to measure ambient noise on a plane, principally the engine and the air conditioning units. They then produce sound waves that are the mirror opposite phase of that noise, so electronically cancel it out. You can buy noise-canceling gear as bulky headphones or pocket-sized earphones from the likes of Sony, Sennheiser and Bose. It's also wise to sit as far from the engines – on the wings – as possible. This works for some, but not others. A late night partying before boarding a long flight in the morning can encourage you to sleep on a plane you otherwise wouldn't have been able to. If you do want to try this, consider buying a really good quality quilted eye-mask (you can find the best eye-masks here) to keep daylight away; that's the main main trigger for upsetting circadian rhythms. Although it works for some, this is a risky manoeuvrer; if you end-up not sleeping on the flight, you're going to be a real mess when you do land. At home you might be a regular guy, but mess with that internal body clock and you can quickly become chronically constipated. Your innards just have no idea what's going on, which means you're likely to be waking up in the middle of the night to visit the loo, which further interrupts your sleep patterns. Drinking a lot water during the day, and going for a walk to get your body moving, are both excellent natural ways to encourage nature. If that fails, herbal Senna pills can be purchased at most pharmacists. They take a while to work, so one tablet is best taken just before bed. Travellers suffering from crippling insomnia find that a sleeping pill can guarantee them the four-or-so hours of sleep they need to at least get through the following day. They also come into play if you cross the globe, say, to Australia, and your body clock is completely upside down. Though it can be useful to help your internal body clock correct, don't take sleeping pills more than two nights in a row. OK, so this is not always going to be practical, but it pays to understand how jet-lag is caused, and what makes it worse. Blame Earth's rotation and the relative slow speed of aircraft, which means that any trip east means going to sleep earlier than you would have done where you left. The exact time of your flight, whether it's a night-flight, and whether or not you sleep on the plane, is obviously a factor. 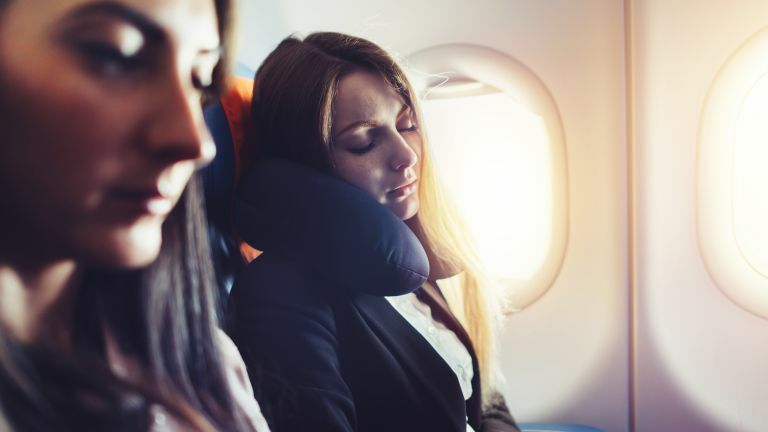 However, the underlying reason why flying east causes more jet-lag is that the human body is just not good at advancing its own circadian rhythms. While most of these tips have been about trying to get to sleep, our advice if you're flying east is to not sleep, especially if you land in the afternoon or evening. This should ensure you then fall asleep (and stay asleep) as soon as you get in your hotel room at night. Delaying your body clock is nowhere near as tricky. Fly to LA from London and you only have to endure a longer day, which the human body doesn't struggle as much. Still, it can take about eight days to completely recover from jet-lag while traveling west; going east, it's more like two weeks. It's easy to remember; 'west is best, east is a beast'. There is an alternative; only fly to countries in the same time-zone as your own, which means heading south. For the UK, that means restricting your travels to places like Portugal, Morocco, Iceland and any country in West Africa, including The Gambia, Ghana and Senegal. Boeing designed its original Dreamliner 787-8 to feature less turbulence and noise. Its latest model, the 787-10 has quieter air conditioning, 60% less noise, and a new air purification system that helps reduce jet lag, headaches and fatigue. Singapore Airlines already fly it between Singapore and Osaka, Japan and Perth, Australia, but with over 170 already ordered, the 787-10 will soon become common. You can find out exactly what kind of plane is used on a specific route by using TripAdvisor's SeatGuru. The first rule of jet-lag is to not talk about jet-lag. While planning carefully to limit jet-lag is sensible, don't obsess about it. If you're constantly thinking about the horrors that await you when you land, you almost certainly won't sleep on a plane. Relax and think about something else. If you travel frequently, it might be worth investing in a GMT watch. These watches feature a second hand, which is capable of displaying another timezone, allowing you to slowly adjust your routine before you've even taken off. The most famous of these watches is the Rolex GMT-Master, but there are several more affordable options, such as the Tudor Black Bay GMT, or the Tissot Couturier GMT Chronograph.